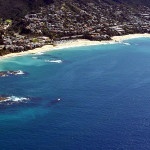 We love Laguna Beach, so spend alot of time there, especially in the summer! We work in Laguna Beach, so we spend even more time during the week. Earlier this year we performed a large Laguna Beach deck repair project. In addition to the main deck waterproofing service, we had three extra deck repairs to perform. Structural Reinforcement. This deck was in bad shape, so we had to add reinforcement on seven different posts. 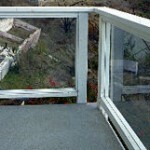 It also had a glass panel running across the perimeter of the deck, which we had to replace. Next, we changed out the fascia board and 4×4 posts. We then sistered a piece of wood onto the two existing 2×6 joists, for added strength and stability. Step one on this Laguna Beach deck repair down! 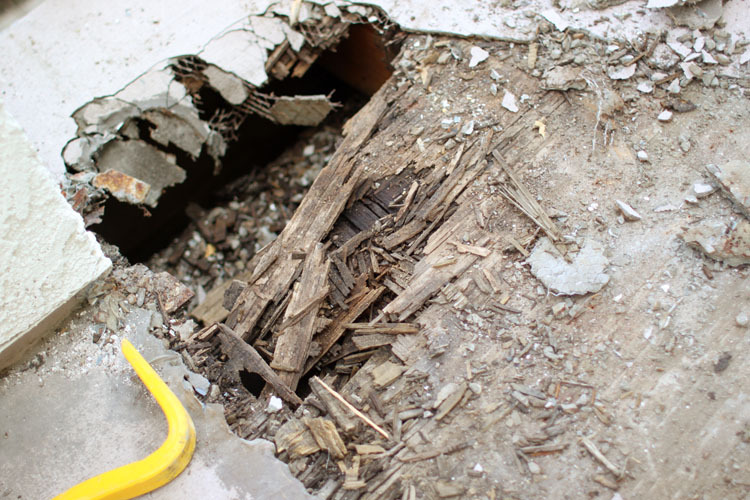 Ten 2×4 beams also had to be replaced because of dry rot. Lastly, we administered glass repairs. We fixed one broken glass pane in the garage. We placed new rollers on the slider door. Then we trimmed 1/4 inch off the door. Plywood Installation. 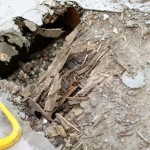 This deck had severe water damage that penetrated through the existing plywood sub floor. We removed the existing deteriorating plywood sheeting and re-installed 3/4 inch plywood sheeting. This reformed and restored sub floor base gave us a new foundation on which to start installation of our waterproofing system. Flashing Repairs. Due to the nearness of the deck to the ocean, we opted for stainless steel flashing. This works great with our deck coating system and is a rust preventive. Rust prevention means a dry foundation. We are all about dry at Prestige Deck Coating! Because of the extensive water damage to this deck, we had to remove all the existing drip edge flashing. 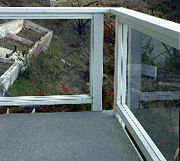 2×3.5 inch drip edge flashing was then installed along the perimeter of the deck, underneath the newly repaired glass paneled railing. The Crete System. The last step on this Laguna Beach Deck Repair was installation of our 5 layer deck waterproofing system. This multi-layer waterproofing membrane is designed for use over plywood sub floors. Prestige Deck Coating loves Laguna Beach! We were thrilled with the results of this arduous Laguna Beach deck repair project, and so was the homeowner! We thrive on a challenge. We are ecstatic about aesthetics. Our beautiful deck coatings are visually appealing and functionally sound. We can’t wait to get back to Laguna Beach for another successful deck repair and waterproofing experience! Watch Our Deck Repair Skills in Action!